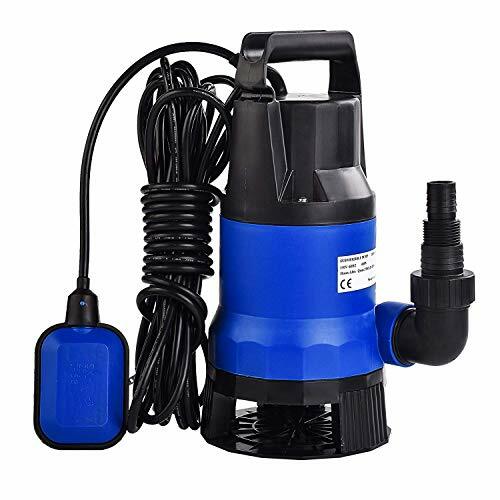 This submersible water pump is ideal for draining flooded areas or emptying water tanks, pools and spas. It is designed for clean or dirty water applications. You can just easily place this pump into the water and start draining. 1-1/4" & 1-1/2" discharge fittings provide dual hose option. Easy to use, which is perfect for everyday draining. SUPER WATER PURIFICATION-1-1/4" & 1-1/2" discharge fittings provide dual hose option. Can be easily placed into clean or dirty water and start draining. SUPER HORSEPOWER-2100 Gallon per hour rating tackles any draining job. 400 Watt, 1/2 horsepower motor has a lift rating of 23 feet. DYRABLE AND STURDY-Corrosion resistant. Features thermal overload protection, ensures the pump operates for longer durability. APPLICABILITY-Perfect for draining flooded areas or emptying water tanks, pools and spas. If you have any questions about this product by Uenjoy, contact us by completing and submitting the form below. If you are looking for a specif part number, please include it with your message.